Company E, in collaboration with the Kennedy Center Theatre for Young Audiences, performed “Voyagers: A Dance Among the Planets” set to the iconic work of Gustav Holst’s “The Planets” on its 100th year performance anniversary. The piece effortlessly integrated dance, projections, and original jazz compositions to inspire young audience goers with the infinite possibilities that lie at the root of discovery. Choreographed by Kathryn Sydell Pilkington with sections by Paul Gordon Emerson, Abby Leithart and Tara Ashley Compton’s rehearsal direction, the piece demonstrates astrological characters in each movement beginning with Mars and concluding with Neptune. Each movement imagined a distinct personality for the planet to give audiences a taste of different techniques and styles of dance; which simultaneously demonstrated the technical diversity within the company. With traces of anything from Graham technique and Gaga to classical ballet, the highly trained dancers demonstrated their expertise in the field. The piece effortlessly integrated dance, projections, and original jazz compositions to inspire young audience goers with the infinite possibilities that lie at the root of discovery. Emerson and Patrick Lord’s co-designed projections with lighting design by Emerson were accessible for young audiences to follow an accurate depiction of planetary movements. The dancers wore flattering costumes, designed by Marija Djordjevic, that reflected their designated role without distracting from the projections. The performance had excellent use of space. Obviously from a scientific perspective but also in terms of stage usage. The already small stage was further confined by the live musicians who stood upstage. Nevertheless, the nine dancers never alluded to any confinement difficulties as the choreography carried them through each movement with fluidity and ease. My eye was particularly directed toward the captivating performance of Diana Amalfitano (Saturn) whose captivating phrasing and stage presence resonated on stage. Perhaps most notable, however, was Eric Shimelonis’s arrangement of Holst’s classic in relation to the choreographic musicality as dancers created music visualizations with playful accents and unpredictable, clever partnering. The music itself, performed by Anthony Jones, Gene Alestock, Mary Lawrence, Trey L. Sorrells, and Brendan Mills successfully delivered an imaginative albeit well-informed interpretation of an iconic work. From a choreographic stance, I was impressed by the musicality employed. When one thinks of musical choreographers, the public usually refers to artists like Mark Morris or Miro Magloire. However, the choreography used a musicality quite comparable if not superior to the former mentioned with a rhythmic awareness often lacking in DC area dance performances. While the performance was not thought-provoking in a cerebral sense, it was catered to a young audience and satisfied my desire for strong musicality and technical proficiency. As verified by the children’s “oohs and aahhs” the short performance successfully appealed to a family audience. The witty choreography and captivating music allowed the children to become swept into a world of curiosity and intrigue. Running Time: 1 hour 12 min. 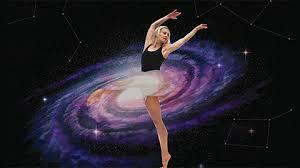 D.C. dance ensemble Company | E shares an interplanetary display of modern movement set to Gustav Holst’s “The Planets.” For tickets click here. Professional performer, choreographer, teacher, and writer in the DMV area.